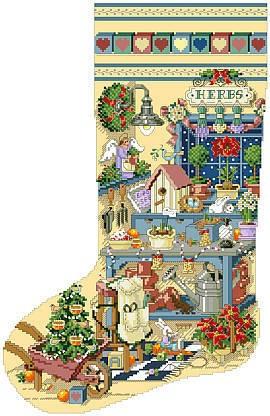 Happy memories in this heirloom stocking celebrating the charm of a garden shed trimmed with holiday cheer. Contents: Stitch Count: 136w X 211h. 25 ct fabric over 2 threads, finished size 10-7/8" X 16-7/8"